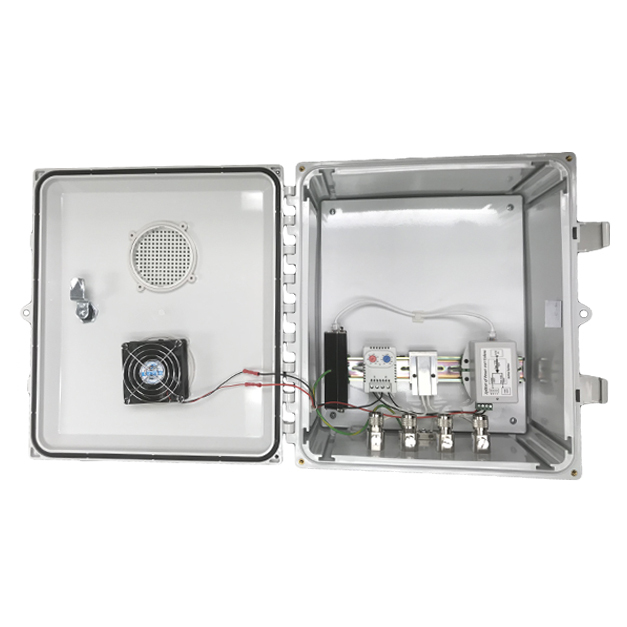 The AccelTex Solutions Heated & Cooled PoE enclosure allows an access point to be installed in an outdoor or other temperature-limiting environment. The heater, fan and AP are all powered by a single PoE cable run from the network switch. The enclosure ships ready for an AP and external antenna installation. AccelTex Solutions PoE powered products are covered by a 1-year Limited Warranty.